When you want a court order to establish, modify or terminate child support. You want a court order to establish child support & you already have or do not need to establish an order for child custody or parenting time at this time. You are the natural or adoptive parent, the legal guardian, or have a court order awarding you custody of the child or you are providing support for or have physical custody of the child of the other party. If you are seeking support from the father, paternity has been legally established by either a court order or establishing paternity or the father’s name is on the child’s birth certificate & you know the name and address of the other party, or where the person can be found. The child must have lived in Arizona for at least 6 months. You want to change child support & you do not wish to or cannot submit to an agreement to this change signed by you & the other party. The court order that you want to change is from an Arizona Court or the children subject to the order you want to change have resided in Arizona for at least 6 months before you file the petition papers & it is in the best interest of the child to make a change to the order. Court fees separate. Ask about fee deferral/waiver, included for qualified, if applicable. Click here for Arizona Superior Court family court filing fees. Process server fees separate. Prices subject to change. Terms & conditions may apply. Ask for details. 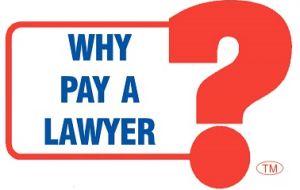 WHY PAY A LAWYER?™ for Child Support. Free Consultation. Make Appointment Today. It is the duty of both parents to support their minor children. Usually the non-custodial parent is ordered to pay child support. If the parents have equal time with the child and equal income, neither will be ordered to pay child support. Child support MUST be paid before any other debts. The amount of child support that will be ordered by the Court is based on child support guidelines. Can the amount of support ever be changed? Yes, but only if you or your former spouse can show the Court that there is a “substantial and continuing” change in circumstances. “Substantial and continuing” change in circumstances may include the obligation of either parent to support other children, additional unexpected medical or educational expenses required for one or more of the children, either a substantial raise or cut in the salary or other regular income of either parent, or substantial increased costs in caring for the children if the child support amount was set several years ago when the children were infants or toddlers. The support may also be changed if one of the children being supported reaches eighteen & graduates from high school or if one of the children’s custody changes to the other parent. All changes of child support amounts must be in writing, signed by both parents & approved by the Court. A Parent’s Worksheet on Child Support Amount must be completed and submitted with the change in support. 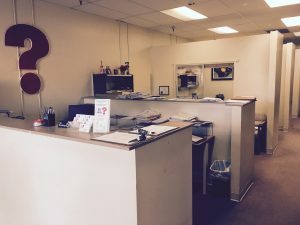 The agreed upon support amount must substantially comply with the Arizona Child Support Guidelines or, if different from those Guidelines, the Court must find that the deviation is in the best interests of the child. Do I still have to pay support if my parental rights have been terminated by Court order? Generally, only after a child is adopted, emancipated, reaches the age of 18 years or dies does the parent’s duty to pay child support end. In addition, if a child reaches the age of majority while attending high school or a certified high school equivalency program, support continues during the period in which the child is actually attending high school or the equivalency program. If one of our children decides to live with the other parent, does support stop? No, child support orders do not stop until ordered by the Court. If the parents can agree to change the child support, the agreement must be in writing, signed by both parents & approved by the Court. Your verbal or written agreement, if not approved by the Court, will not necessarily end the obligation to pay for that child. If there is a dispute it is the responsibility of the paying parent to prove that payments have been made. If the parents cannot agree, then the parent who wants to stop the support payments must file a petition or motion to modify the Decree & request a hearing. How long does support have to be paid? What is a wage assignment & how do I get one? An assignment of wages is now required for the payment of child support and in some cases for the payment of spousal maintenance (alimony). An assignment requires an employer (either a person or company) of a parent obligated by court order to pay a certain amount of child support to withhold that amount from the wages or money owed to the parent (employee) & to send that amount directly to the Clerk of Court. This type of assignment applies to salary, wages, commissions & any type of payments received by the parent ordered to pay support. Either the person required to pay support or the person entitled to receive it can request an assignment order. The law prohibits employers from firing or punishing an employee just because that person has a wage assignment. What if my spouse quits working in order to stop having to pay support? A former spouse cannot avoid paying court ordered child support or spousal maintenance. The Court has the discretion to attribute income to a spouse who voluntarily reduces his or her income. A non-paying spouse is subject to collection remedies such as wage assignment, garnishment and contempt. No, you cannot avoid paying support whether current, future or past due support, by filing bankruptcy.